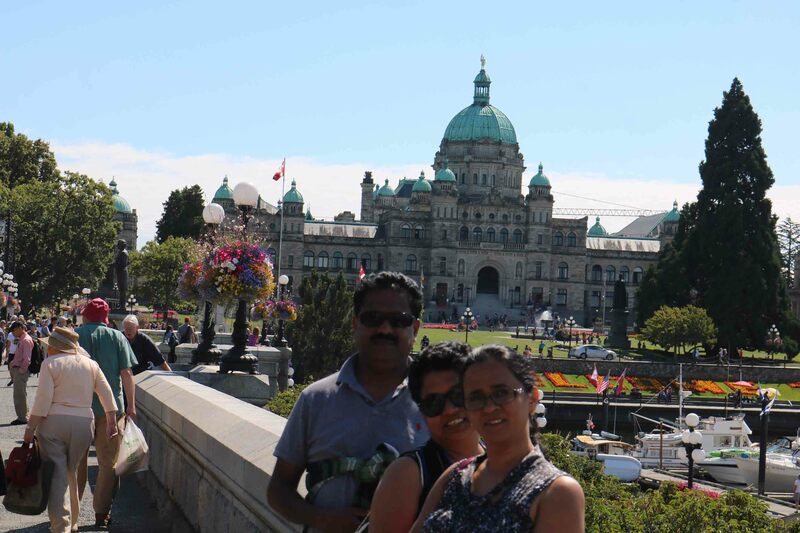 Our trip to British Columbia in August 2016 concluded with a visit to Victoria Island, the capital of British Columbia (BC). 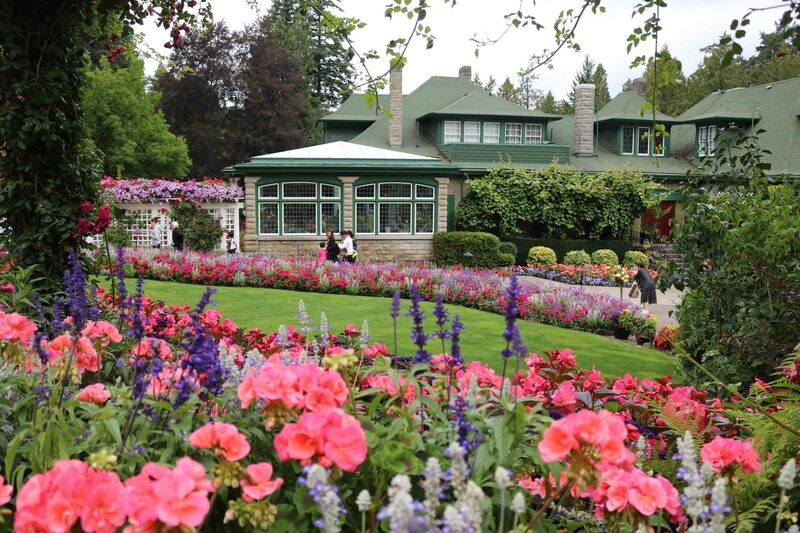 Victoria is an island that offers heritage architecture, colourful gardens and traditions like afternoon tea, mixed with outdoor adventure, culinary experiences, especially fish and chips. 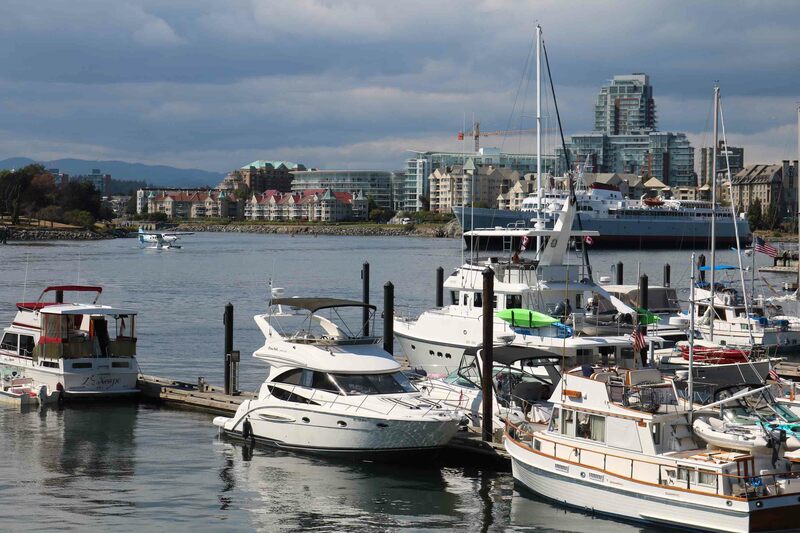 Victoria Island is located about 100 km from Vancouver and can be reached by ferry, sea plane, tourist boats or by air. We set sail by the 9AM from Vancouver on the ferry operated by BC Ferries and it took about 90 minutes. There were about 200 vehicles and 400 passengers (and a few dogs) on board. 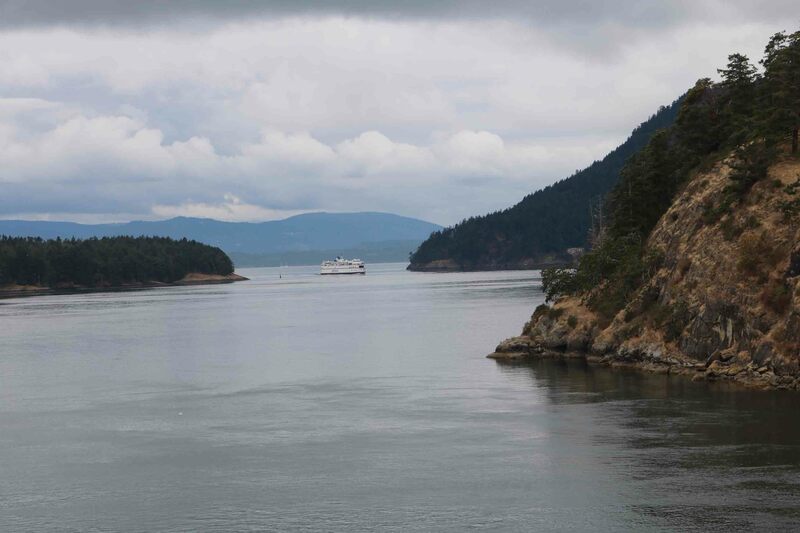 The ferry ride offered a deck-side view of the breathtaking scenery through the Strait of Georgia. The ferry had three restaurants with various food options and viewing platforms, both inside and outside. Our first halt was at the Parliament building. 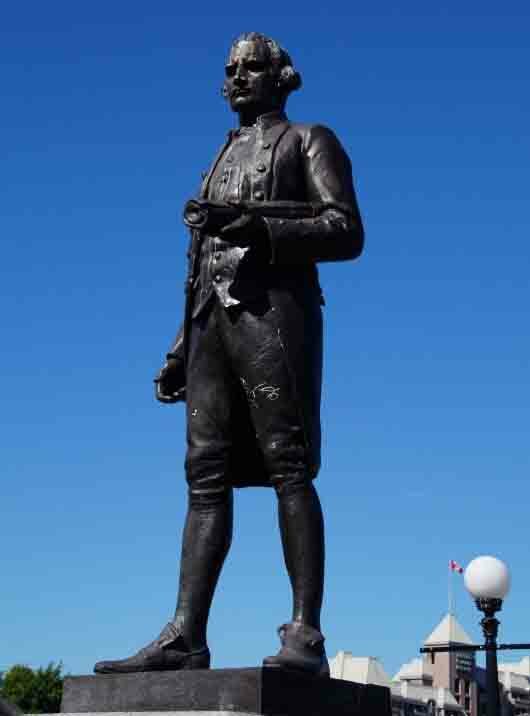 Overlooking the harbour stood the statue of Captain James Cook, the first non-aboriginal man to set foot on Vancouver Island in 1778. Many aboriginal families lived on Victoria Island, each referring to themselves by distinct family group names. In 1843, James Douglas chose Victoria (then known as Camosack), as a Hudson Bay Company trading post. The post was eventually renamed Fort Victoria, in honour of Queen Victoria. On July 21, 1871, BC became the sixth province of the Dominion of Canada and Victoria was proclaimed the Capital City. The Parliament building to house Legislative Assembly of BC opened in 1898. 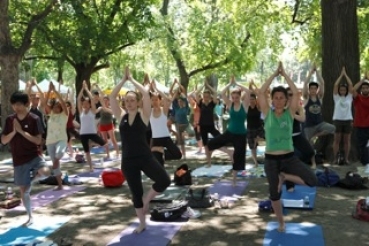 In the twentieth century, Victoria evolved as a city of government, retirement and tourism. We were thrilled to see the three statues located in front of the Parliament building. They would enthrall any military history enthusiast and veteran. The first was a statue of a soldier to commemorate BC’s fallen in World War I, World War II and the Korean war; then a statue of a Veteran Sailor and a statue of homecoming of a sailor to commemorate 100 years of Canadian Navy unveiled on 04 May 2010. 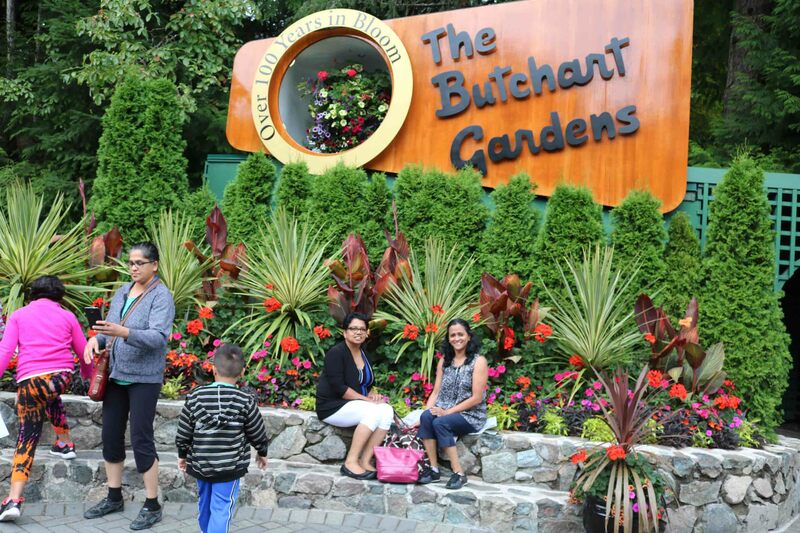 Our next destination was Butchart Garden, surely a place for a nature lover and a gardening enthusiast. Robert Pim Butchart, a pioneer in the North American cement industry, came to Victoria Island lured by its rich limestone deposits. In 1904 he developed a quarry and built a cement plant. His wife Jennie Butchart became the company’s chemist. Close to the quarry, the Butcharts established their family home with a small garden. As Mr Butchart exhausted limestone deposits, his enterprising wife Jennie, converted the gigantic quarry into a beautiful garden. The renown of Mrs Butchart’s garden quickly spread. By the 1920s more than fifty thousand people visited her garden each year. The hospitable Butcharts christened their estate ‘Benvenuto’, the Italian word for ‘Welcome’. Their grandson Ian Ross was given the Gardens on his return from World War II. He made the garden self-sustaining, transforming the mostly neglected home and gardens into an internationally famous tourist destination. Each year over a million bedding plants in some 900 varieties give uninterrupted bloom from March through October. Almost a million people visit annually for spring’s colourful flowering bulbs; summer’s riot of colour and fall’s russets and golds. 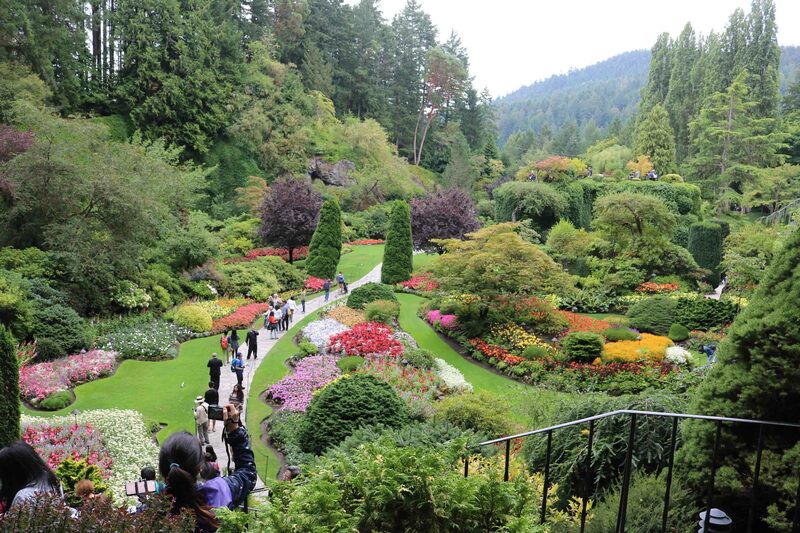 The most impressive sight was of the Sunken Garden from the lookout. The old quarry had been transformed by Jennie into a beautiful sunken garden of massive dimensions and dramatic aesthetic qualities representing exceptional creative achievement in gardening. Deep expansive walls, beds of annuals, flowering trees, unique shrubs, central rock mound and a fountain, all added variety to the uniqueness of this marvellous garden. 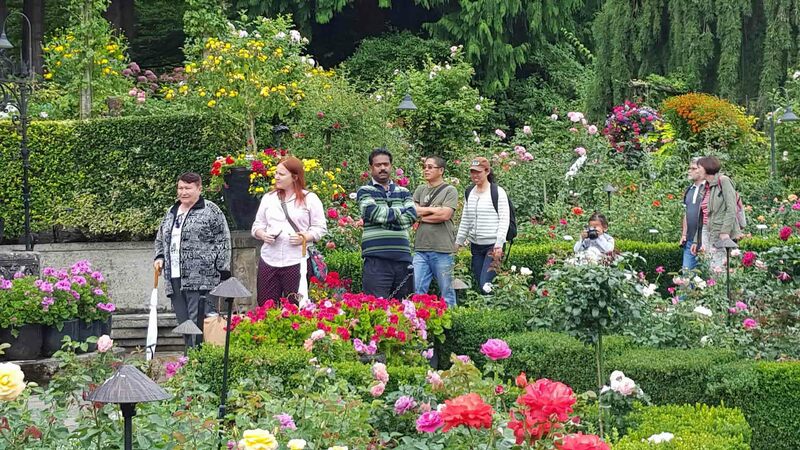 We were welcomed by the luscious scents of roses to the Rose Garden. The flowerbeds bordered by magnificent delphiniums had roses of many varieties and bright colours. The garden has an extensive collection of floribundas, ramblers, climbers and Hybrid Tea Roses. Each rose variety has been marked by name, origin and year registered with the American Rose Society. A Torii gate welcomed us into the serene Japanese Garden. Walkways by the side of streams and ponds guided us through many bridges. Japanese maples and birch trees spread abundant shade on to the well manicured lawns. Jennie, with assistant Isaburo Kishida, an expert Japanese landscaper, completed this garden in 1906. The next stop was the Italian Garden bounded by two arched entrances. 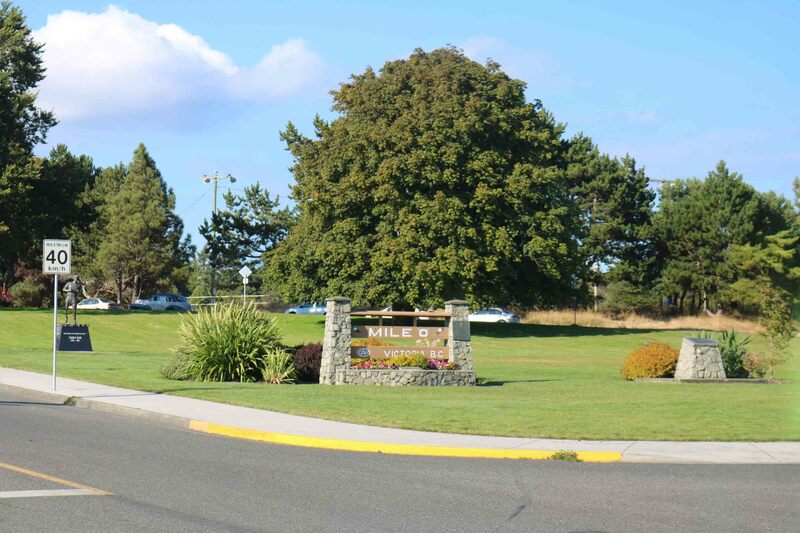 This garden was originally Butchart’s tennis court. A splendid Star Pond adorned the centre of this garden. It was originally designed to house Mr Butchart’s collection of ornamental ducks as he was an enthusiastic hobbyist who collected ornamental birds from all over the world. He kept ducks in the Star Pond, peacocks on the front lawn and had many birdhouses throughout the gardens. Past the Italian Garden, we entered the Mediterranean Garden. 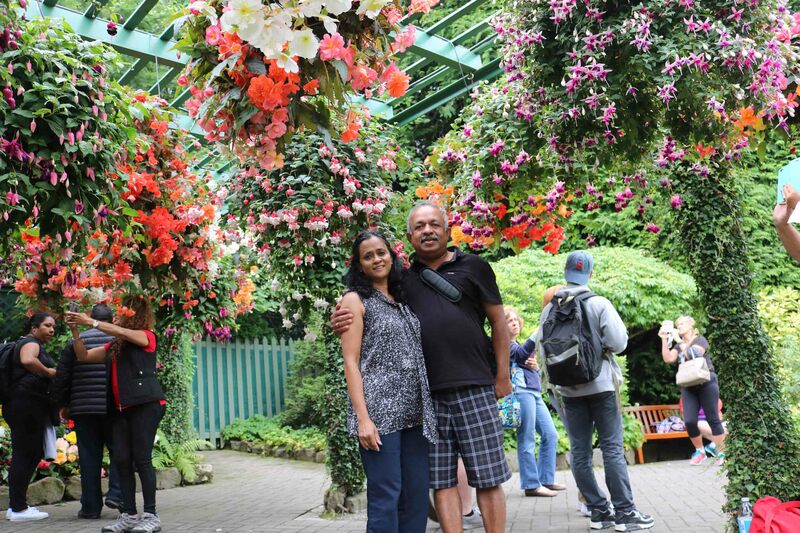 This area had an enchanting arrangement of lush, exotic plants from around the world. 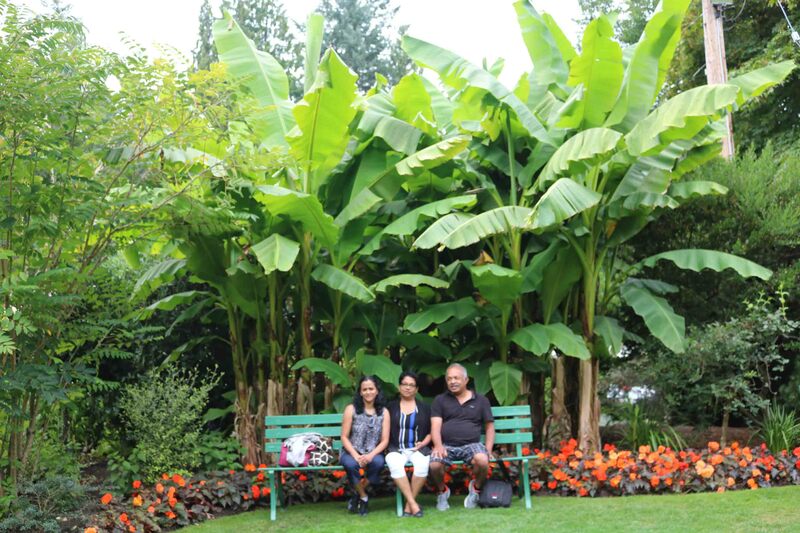 We were all surprised to see that even a banana grove could enhance the beauty of an enchanting world renowned garden. 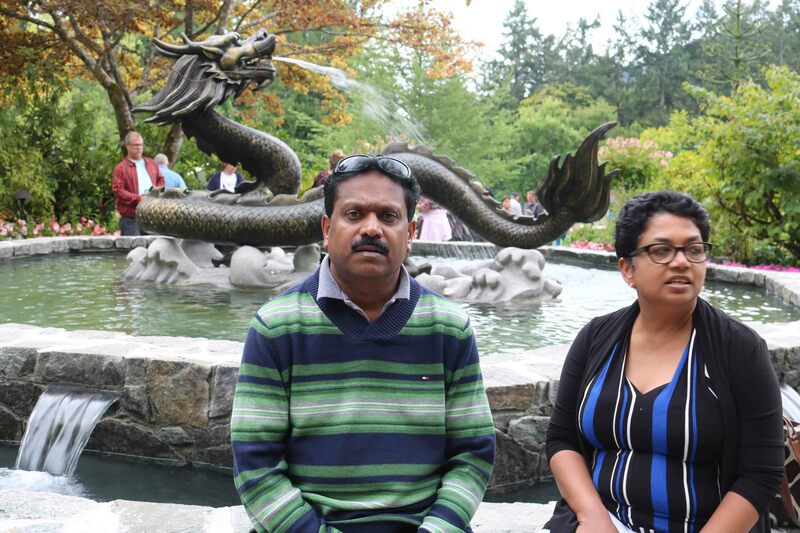 From the Butchart Garden, we headed straight to the Red Fish Blue Fish. It is an outdoor waterfront eatery in a modified cargo container, standing on a wooden pier in Victoria’s Inner Harbour. It is one of Victoria’s most cherished eateries. There was a long queue and after about half an hour in the queue, we ordered fish and chips. We relished the battered and steaming pieces of halibut, sitting on the dock overlooking the bay. Indeed it was worth the wait standing in a long queue. Our next destination was ‘Mile 0’ which marks the start of the over 8,000 km Trans-Canada Highway that spans the entire length of Canada – from the Pacific Coast to the Atlantic. Mile 0 is also home to a statue of Terry Fox. Fox lost his right leg to cancer when he was 18 years old. He started a trans-Canada run to raise money for cancer research, beginning in Newfoundland on the East coast of Canada and was to end at the Mile 0 marker in Victoria. Unfortunately, Fox’s journey ended tragically near the halfway mark when he fell ill and passed away. Since then, hundreds of millions of dollars has been raised in his name by the Terry Fox Foundation for cancer research. With the visit to Mile 0, we culminated our exploration of Alberta and BC this time. 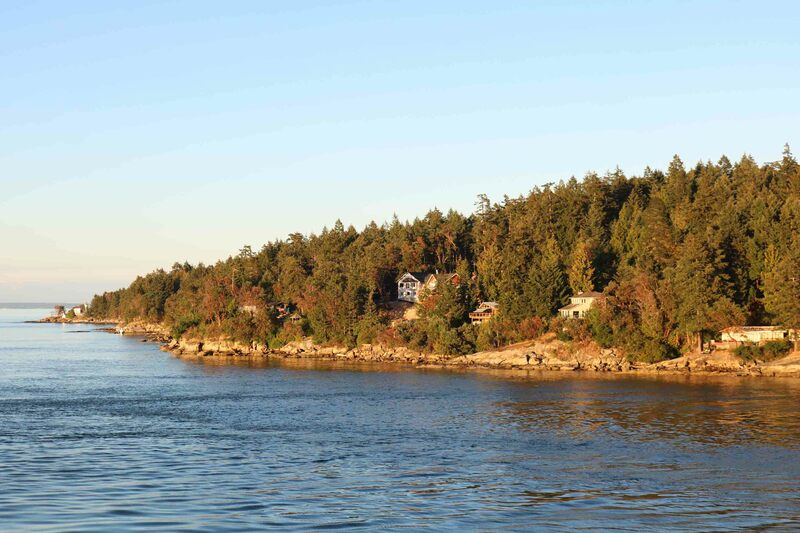 Now it was time for us to catch the return ferry to Vancouver and say goodbye to the beautiful Victoria Island. As we cruised through the Pacific Ocean, the sun was about to set and its rays painted the islands with different shades of gold.